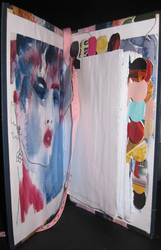 This a five hour workshop in which the students create their own textile covered hard back book during the day. They sew their own signature using proper bookbinding tools and materials. 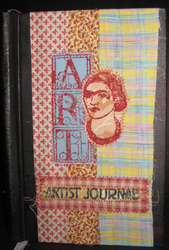 They create their own cover using textile collage and then assemble the signature into the binder. Finally they use paper collage techniques to embellish the pages. 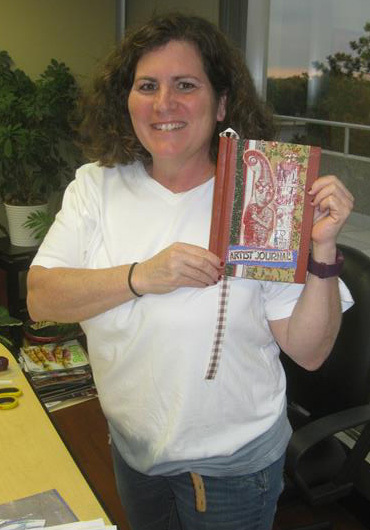 They take home their own complete book at the end of the course. These workshops may be booked here. 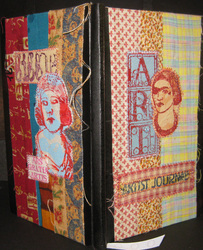 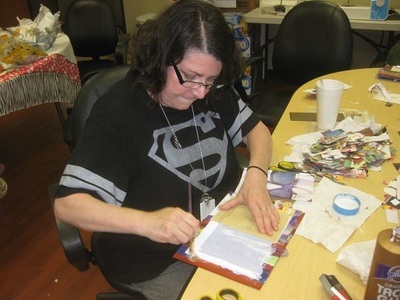 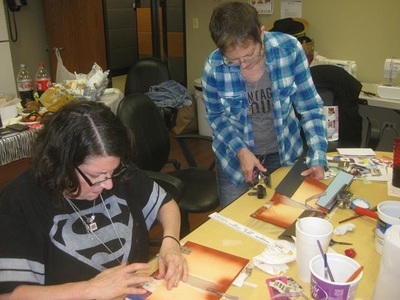 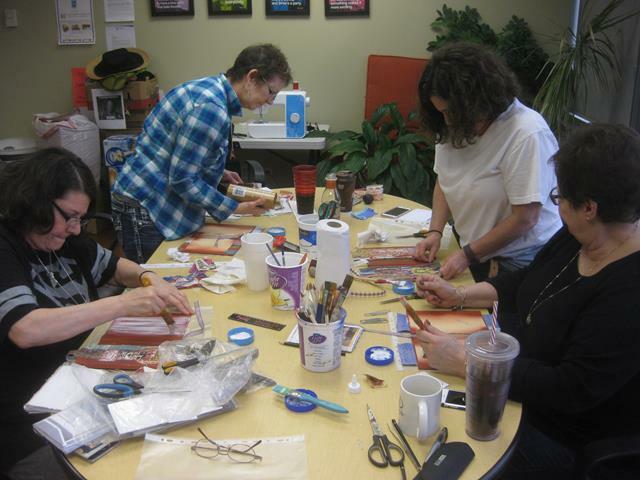 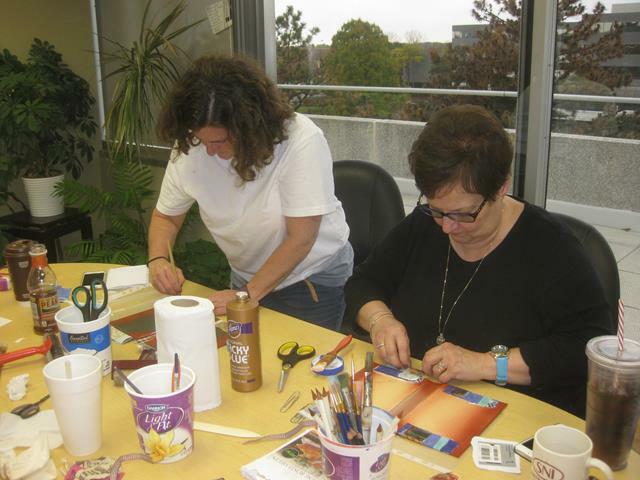 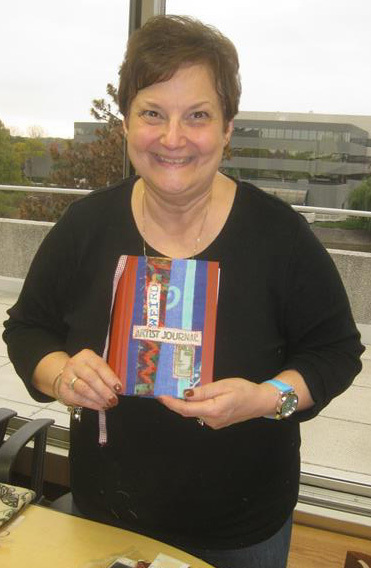 My latest Bookmaking workshop took place in Schaumburg, Il. 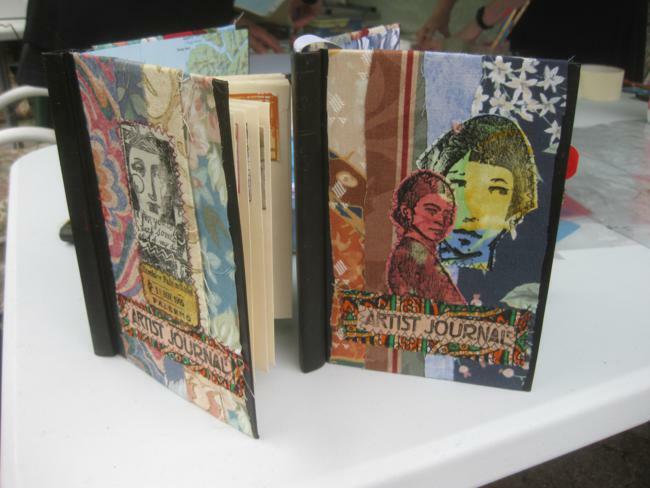 It was organized by the Art Diva herself, Sherie Eddy. 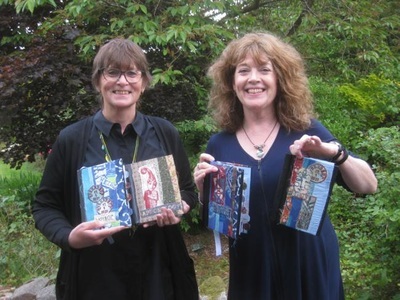 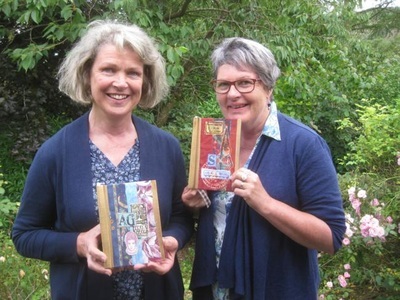 Attendees at the alfresco bookmaking workhops at Broad Lee House in 2016. 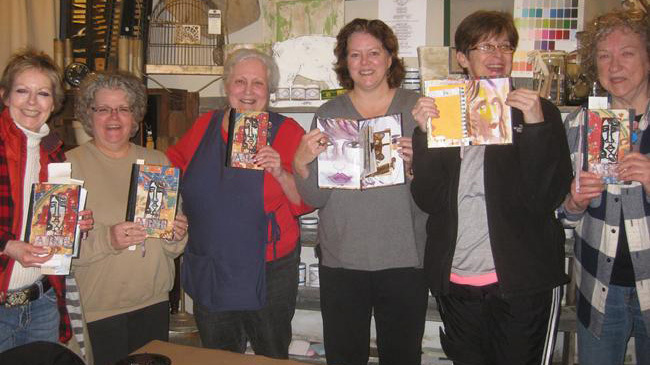 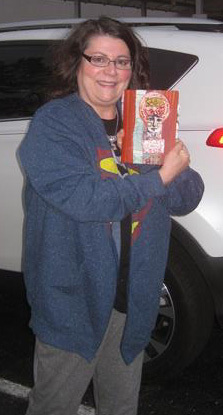 Here are the graduates from the Bookmaking workshop held at the Lucky Junk Shop, Arlington Heights.